John Stewart with additional information from John Foster. 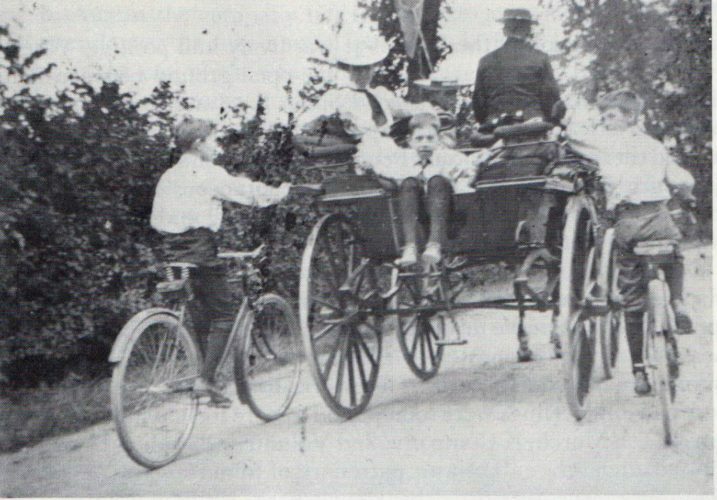 Pictured above is Dr. Samuel Squire in 1876 in his donkey cart with his family. Dr. Squire was born in Pakefield, Suffolk in 1826 and moved to Wivenhoe to start his medical practice in West Street, opposite Bath St, in I think Colne House. The entrance for his cart was next door to Number 5 Station Road; the double gates are still there today. Dr Squire was the village doctor for quite a long time. He arrived in Wivenhoe around 1850 and practised here until around 1900. The picture shows Dr Squire with his wife, Mary, and three sons, Frank, William and Basil. His wife died in 1901 aged 73 and he died in 1913. This page was added on 15/09/2017.